Currently there are 6 routes, North Parkway, South Parkway, Dollywood, Dolly’s Splash Country, Gatlinburg Welcome Center and Wears Valley Road. 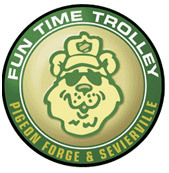 All of our routes originate and end at the Trolley Station. 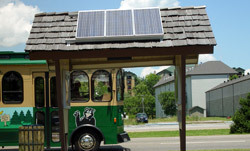 The station is located in the Old Mill District on Old Mill Drive. Just turn at traffic light #7 and look for the parking lot with all the Trolleys. If the parking lot is full you can also park at the new Municipal Parking Lot located on Teaster Lane. Currently the parking is free and the transportation to Patriot Park is also free. To see our fares or to learn more about the routes or our services please click on the links located at the top of this page. Thanks for looking and enjoy your stay in the Great Smoky Mountains!